Rev. John Buehrens is our guest preacher for both services. He and Rev. Jacqueline are doing a pulpit exchange. Rev. 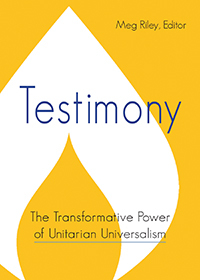 Buehrens was the former president of the Unitarian Universalist Association of Congregations and now is the senior minister of First Unitarian Universalist in San Francisco… … read more. First Unitarian Church of Oakland’s Annual Intergenerational Bread Communion Service. ONE WORSHIP SERVICE, 10:20. Join Pastor Jacqueline, Rev. Sheri, Worship Associate Lynn Gallingly, Board of Trustee member Lisa Rosene, our partner church minister from Okland Transylvania, Rev. Levente Kelemen, Crescendo Choir and Joyful Noise as we come together as a spirit-filled religious community to share our deep griefs and radiant joys. Our children and youth will be in worship for the entire service. Please invite a family and or your neighbors to join us.